The FlexiRoll can also be used in Western, Southern, or Northern blotting applications as an alternative to the more expensive rotisserie-style hybridization ovens. 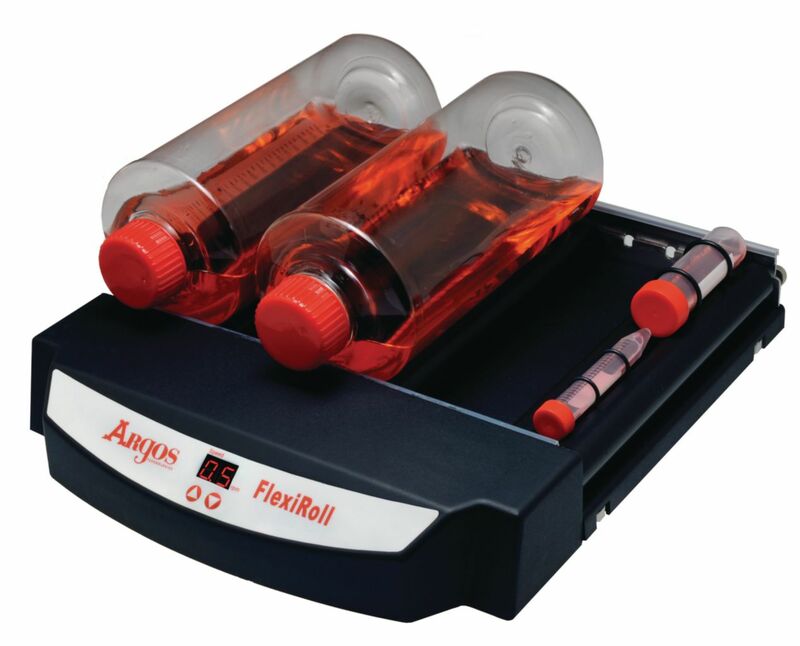 By purchasing five additional rollers the FlexiRoll can rotate twenty 15mL and 50mL tubes at one time, ensuring a complete and uniform mixing of the reagents with the filter paper. Two different roller options are available. The standard roller rods rotate 360°, while keeping the flask and bottle level with the bench. The roller rocker rods gently rocks the samples up and down while rotating 360° at the same time. 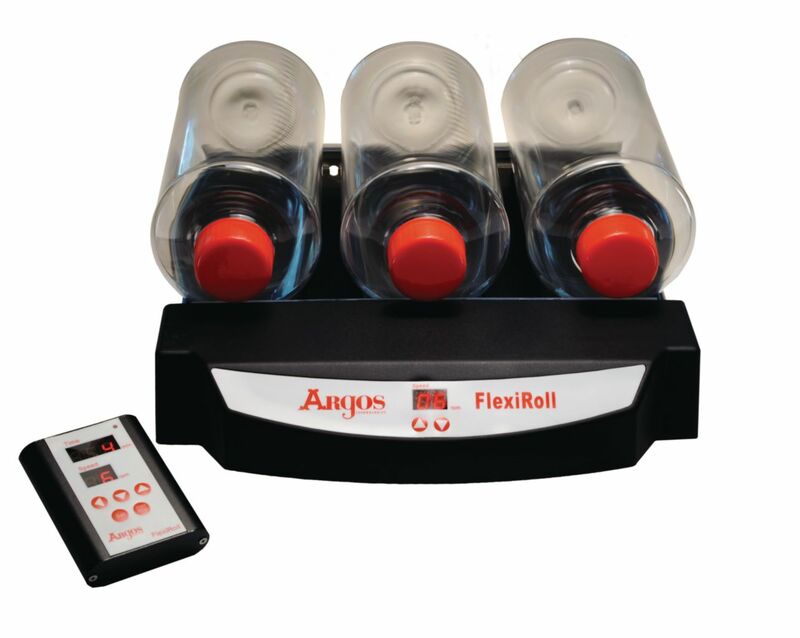 The digital remote controller is useful for applications where the FlexiRoll unit is placed in a CO₂ incubator or another closed environment. A digital keypad on the unit enables control of the time and speed settings of the FlexiRoll without having to open the incubator door. To maximize bench space the FlexiRoll can be stacked into a two-tiered unit to provide additional roller bottle capacity. Each stacked unit is independently controlled to allow for speed variation. Applications include growth and culturing of adherent cells, suspension cells, mixing blood or Vacutainer™ tubes, washing nucleic acid blots, or performing hybridization protocols. Ideal for use on a benchtop or in a CO₂ incubator. The unit can be safely operated in temperatures ranging from 4–60°C (39–140°F) and atmospheric environments of up to 95% humidity. The FlexiRoll operates from 0.5 – 80rpm, and offers a timer function when used with the digital remote controller. The six included rollers will accommodate three large (850cm²) roller bottles. Certifications: UL listed. CE marked.